(d) Revoked licenses.- A person may not drive a motor vehicle on any highway or on any property specified in § 21-101.1 of this article while the person’s license or privilege to drive is revoked in this State. Penalties for Driving for Driving on a Revoked License violations in Baltimore can include fines, court costs, or MVA points. What Should I do if I Received a Driving on a Revoked License Ticket in Balitmore? 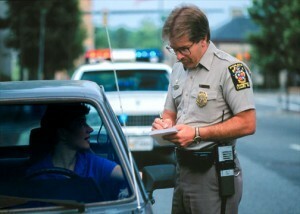 For Driving on a Revoked License violations in the State of Maryland, you must appear for Court. Don’t appear without an experienced Driving on a Revoked License Defense Attorney with you. If you want to avoid the points and attempt to reduce the fine then you should call the Law Offices of G. Randolph Rice, Jr., LLC, to find out how we can help.